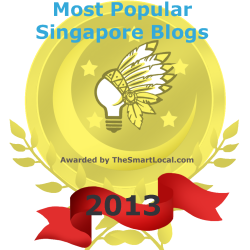 2013 has been a busy year for sociopolitical affairs in Singapore. From the Punggol East By-Election, to the Aljunied-Hougang Town Council and Aim saga, to the Population White Paper 2013, back to the Aim saga and recently, with the Media Development Authority (MDA)’s “Licensing Framework” against “online news sites” and the standoff between the Aljunied-Hougang-Punggol East Town Council (AHPETC) and the National Environment Agency (NEA) regarding the cleaning of the food centres at Bedok. Concurrently, there were also arrests, investigations and threats levied upon common Singaporean citizens, such as Alex Au, Lynn Lee and Leslie Chew, among others. Much has occurred in the political awakening of Singaporeans in only the first half of 2013, and this should be seen as a much welcomed outcome for Singapore. However, how has the PAP responded? The recent AHPETC-NEA standoff was unfortunate. If we take aside the politics, clearly, both sides have contributed to the current outcomes – why did the NEA not follow-up with the food centre on the scaffolding for the March cleaning of the Block 538 food centre? Why did the AHPETC not follow-up more proactively regarding the cleaning? There are still many unanswered questions and information gaps, but as Mr Low Thia Kiang had said, let’s move on and focus on the more pertinent issues at hand. Half a year of constant politicking is enough sideshow to distract from the real work that needs to be done in Singapore. Of course Prime Minister Lee Hsien Loong wasn’t kidding when he had said that the PAP would have to keep finding ways to “fix” the opposition, but have things perhaps been taken a bit too far? It is clear that from the AHPETC-NEA incident, mistakes had been made, but unfortunately, instead of both parties admitting to the mistakes and taking immediate steps to resolve them, politics was imbued into this episode, resulting in reputation damages to all the parties involved. To be clear, these ‘mistakes’ are by no means representative of the parties involved but a personal error in judgment. Yet, not only did the PAP and WP’s reputation took a hit, the independence and integrity of the NEA, a civil service institution, was questioned as well. If the civil service is to remain aboveboard and non-partisan, the very involvement of NEA in prolonging the standoff had shown very clearly to many Singaporeans the side that it had taken, if this has not already been known. This is dangerous because if our civil service can be used as affronts for political attacks by the PAP, then how are Singaporeans able to trust the civil service? If it was not already enough that the town councils have officially become politicised, do we need to further drag the MDA and the NEA into the fray as well? 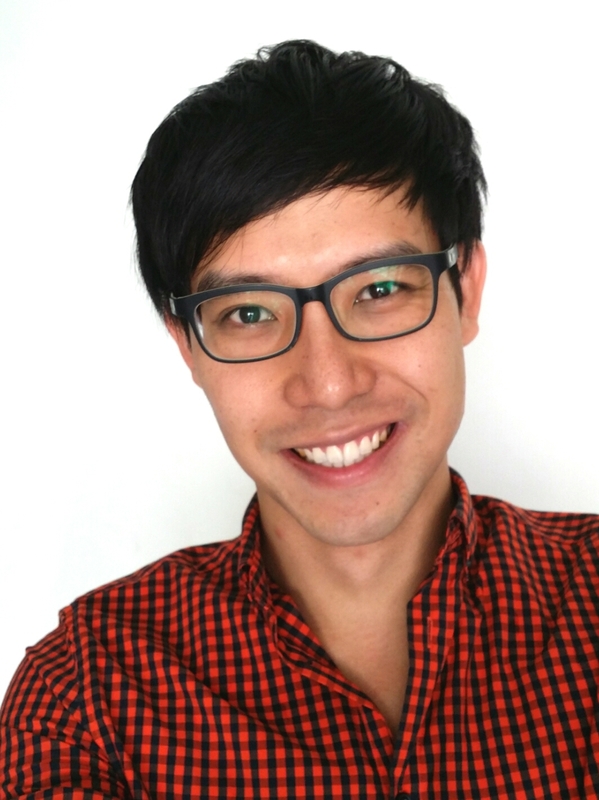 Can the MDA then be entrusted with overseeing media development in Singapore? And can the NEA be trusted to report accurately on statistics pertaining to the dengue outbreak, for example? Have Some PAP Politicians Become PAP’s Liabilities? If we were to just look at the AHPETC-NEA incident, it was clear that mistakes were made and it was clear what could have been immediately done to resolve the issue, but somewhere along the line, someone decided that this could be an issue that could be politicised, so a minor mistake was dramatised and flashed across The Straits Times and because this was not a case where the Worker’s Party should take all the blame, NEA and eventually, Vivian, had to fall head over heels trying to throw up answers as well. It just became a complete mess. But who started this mess? Was it Vivian, him being the Minister-in-charge? If it was, it wouldn’t be the first time that Vivian has had a knee-jerk reaction and wasn’t able to properly close the chapter. He had done it with Vincent Wijeysingha and he did it again this time round, and not only that but gave Mr Low Thia Kiang the advantage as well. And if this was the case, Vivian has become a liability to the PAP, in not being astute enough to identify a fine opportunity for politicking, and in not being able to end off by gaining the upper hand. Or frankly, in not just focusing on getting the job done. Similarly, who was the minister who had devised the “licensing framework” for “online news sites”, to demand for a $50,000 performance bond and the 24-hour take-down rule? Was it Yaacob? Or could it even be Tan Chuan-Jin, who had out of nowhere, appeared on Channel NewsAsia, to field questions for the “licensing framework” when he had nothing – on the surface – to do with the ministry-in-charge? If so, who among them had become PAP’s liability as well? In a time when Singaporeans are starting to politically be awakened, it doesn’t make sense to believe that there is a need to regulate our awakening and rising awareness. Such a policy which would stunt the political development of Singaporeans is poorly thought-through and is a simple replication of old policy relics on new social circumstances. If our politicians are not able to move on with the times and social developments, then these politicians might no longer be relevant enough for the governance of Singapore. It is one thing to be able to appreciate history and adapt this understand to new circumstances. It is another to understand history and not learn from it. Yet, this is perhaps what is most worrying for Singapore. A country which has learnt to reshape its history so thoroughly has created a people who have a warped sense of our history. If we were to need to look back one day to learn about what should not be done, what would we know not to repeat when the truths were erased from our eyes. Perhaps the current generation of politicians have as well fallen prey to their own party’s version of history. There are many opportunities abound for a keen-eyed politician. The political awakening presents fresh opportunities to engage with Singaporeans and to establish trust in new sectors among Singaporeans. A politician who is able to understand this and consult with Singaporeans first to obtain their trust and buy-in, would be able to maintain a higher moral ground than another who believes in using the iron-fist, one that is certain to backfire on him or her in the current social backdrop. Has PAP Become Fearful and Insecure? Unfortunately, for a PAP who has ruled for nearly 50 years, and especially for the longest-serving in the group, a sense of fear has captured their senses. Having properly groomed themselves to finally achieve their current stature, maintaining it has become of utmost importance, for losing it means having to start all over again, but from where? What was once a sure route to “success” and an eventual retirement based on this is no longer a certainty and a defensive protectionism of their “achievements” has thus come into play. But Singapore isn’t just about you. When you make Singapore about you, when you become personal, then you have forgotten what serving the nation truly means. Then, you need to go, for the greater good of the country. When our politicians are concerned about devising rules that keep themselves in power, then the laws that they create will necessary compromise on the well-being and livelihoods of the people. And when that happens, it is only natural that the people will no longer trust the politicians and will demand their exit, as Singaporeans have for the actions, and inaction, of certain PAP politicians for more than the past 10 years. Thus PM Lee had thus removed Wong Kan Seng and Mah Bow Tan from their ministerial roles. However, for Singaporeans who are now more aware, have things changed? The Population White Paper 2013 and the continued increase in housing prices could only affirm to Singaporeans that the government had hardly taken them seriously. How many more liabilities currently sit amongst the office-holders? Or has the enforced group think become the major impediment in PAP’s ability to engage any further? Perhaps one of the major roadblocks of the PAP is a party which has mirrored itself to the self-preservation streaks of their most renowned politician’s perfectionist tendencies, so much so that control has become the order of the day, to protect that carefully-crafted self-image. Yet, perhaps the PAP needs to embark on a journey of self-discovery to find out for themselves what purpose and ideal would be the most favourable for themselves, moving forward. The PAP’s fear to lose has thus been transposed onto the national consciousness of Singaporeans, so much so that this has resulted in the stresses that pervades the Singapore society. This also explains why the Singapore government is unforgiving towards the people, and how Singaporeans have as well learnt to be unforgiving towards the government. A government and a people who have learnt to hold one another to unfailing principles have caught one another in a perpetual binding disagreement. If the PAP of fore had latched on to the self-preservation protectionist streak of Lee Kuan Yew, has the PAP of now become defined by the inner insecurities of their current leader as well? But there are several ways that the PAP could handle the situation. One way is for the PAP to decide on what information Singaporeans should be able to access so that they would not be as well-informed on the ongoings and would become less suspicious of the PAP (this being the PAP’s hope), and thus the “licensing framework”. However, this short-sighted rule can be overcome very easily by technology, which would thus render the rule a laughing stock with no teeth. Not only would it backfire on the PAP, it would take a stab at PAP’s reputation, as it has. There is of course another way. Even as the government had introduced and legislated a ruling, if the government is willing to step aside for a moment and recognise that the people might not be in complete agreement with the ruling, the government could restart a consultation and invite Singaporeans to rework the ruling with them. Will this make the government look weak? Either way, the ball is not in the government’s court at this point anyway. In fact, if the government were willing to be open, it would do more to strengthen their moral integrity and repair the tarnished portion of their reputation. There is perhaps too much fear within our PAP politicians now, which has translated into an aggressiveness towards the people, but this will only further entrench the people’s displeasure with an already perceived highhandedness among some of the PAP politicians. If the PAP wants to regain some form of legitimacy, it would be in the best interest of the PAP to undergo a cleansing, where they allow their inner fears to be washed away and allow a calmness and ease to take over, so that they would be able to interact with Singaporeans with a cleaner slate. If certain politicians have become liabilities to how PAP should advance in the new era, the PAP should have the courage to allow them to take a backseat. At this point, it is not about face or pride – the PAP’s reputation is on a downward spiral and the only way to stump the tide is to find its way back to the moral integrity that the PAP had initially built itself on. This means identifying new leaders among the current breed of PAP politicians, who have the conviction and clarity of mind, who have the ability to understand the new social dynamics and be able to philosophise a new approach towards engaging with Singaporeans on an equal level. Anyway, the reshuffling of office-holders is due soon and a reshuffling which can present new energies to the ministries might be the spark that is needed to help renew the trust between the government and the people. A ruling passed under a previous minister which has the enlightened guidance of the new minister could be amended to reflect a wider representation and be accepted by a wider group of Singaporeans. There are many opportunities abound now, if only the PAP knows how to grab them. If not, the opposition parties have become quite a formidable force and in spite of the PAP’s attempts to “fix” them have only helped the opposition parties to gain higher ground. Further attempts to “fix” the opposition will only lead to similar outcomes, as has been shown this year. Singaporeans have become a lot more discerning and it is unlikely that our peeled-over eyes would allow anymore “fixes” to go by us unnoticed – even with the “licensing framework” in place. If the PAP wants to protect its political legitimacy and longevity, there are many ways to do so and further regulations and entrenchment are certainly not the way, and will be a sure death for them. Thanks for the analysis Roy. This makes interesting reading for the political undergraduates too……. hope they fin this useful in their dissertation papers….. The problem is that the current batch of leaders are all subsevient to the old fart and his son. There are many generals amongst those identified to be the fourth generation PM. These people are groomed to follow, not lead, like a dog to its master. All these being done to preserve a person’s control over the party and its country. There are dark secrets about the reserves, about the country’s finances, about the wrongs committed against a few good men who were incacerated for half their entire life. All these need to be kept buried. And the only way to do so, is to extend the dynasty. Once the PAP’s stranglehold is broken, the repurcussion you can imagine. When truth came to light. The clean slate has to come from the outside, not within. When PAP has raised the rewards for political office to such obscene standards, the history of mankind will show that it will be doomed for eventual doom when the power hungry politicians fight among themselves for the ascent to the throne especially when the winner takes all. Probably that is the reason our current PM still cannot find a suitable successor to take over because he is still clinging and guarding his throne jealously. If any of our PAP leaders still cannot let go even though they might exceeded their stay, How can Singapore ever move to be a better governed one especially when they think of their own interests first? I really think it is very difficult for PAP to retain its stronghold in Singapore in this age and time. The power of the internet, the wealth of information readily available, even with all their might to control will not come to pass. The atrocities committed by them has been exposed, and I have read these while surfing the net. Knowledge and information is power. PAP was very effective to propagate information to the readers that best suited them or what they think is best for the Singaporeans to read or watch on their computer or TV. They maybe able to control mainstream media but Cyber-media, I don’t think so. Hypothetically, if they did move to control strenuously with the regulation with their draconian system, a lot will be at stake for Singapore. I cannot see the rationale for them to so when we are encouraged to soldier ahead as a leading nation amongst our neighbouring countries. Another thing that bothers me is why PAP is so reluctant with change and accept democracy in totality. Is it because Singaporeans are not ready and a bunch of idiots? Yes, Singaporeans are a bunch of idiots. They are in denial though, so they ignore;anything negative said about them) and they focus only on the positive or people who support them(or you). But support you in what? In what your leaders have modeled the object of your desire or worship – themselves(or be as successful as them). Idiot or not? If you too idiot to understand that, watch Americal Idol. Many louse are in denial. Ignore! Ignore! Thanks for all the great articles you have written Roy . Like to add an idea that you can maybe ponder and perhaps write about next . Maybe PAP should move on without LSL ? In most advance nations , how long do their Prime Minister stay in office ? even if the same political party is voted in again ? i don’t think many has been around as long as our Prime ministers !